According to an article in the Borneo Post, an estimated 3 out of 4 vehicles in Malaysia have under-inflated tyres, which lead to higher fuel consumption and carbon monoxide output, deceased tyre durability and higher risk of accidents. Michelin Malaysia’s Corporate Affairs Manager, Rian Aznani, said that educating Malaysians on proper tyre maintenance could effect a reduction of fuel consumption by 47,000 litres a year. Perhaps the most important benefit is safety. In the UK, in 2012, more than 1,100 road casualties occurred because of under-inflated, defective or illegal tyres. Again, not a large number, but still significant to the individual who could have avoided the accident if only he had checked his tyres regularly. Do these look familiar? Yes, there’s 4 of these under the carriage of your car. They’re very important. TREAD. The rule of thumb is that the tyre tread should have a depth of at least 1.6mm. Anything less, your vehicle will have less traction on the road and, yes, it will get slippery when wet. PRESSURE. Check the tyre pressure at least once a month, and before extended journeys. Under-inflated tyres exacerbates tread wear on the outer edges, generates more heat which leads to even more wear, and increases resistance which leads to higher fuel consumption, because the car just has to work harder. Over-inflation leads to wear on the tyre centre. What’s the correct pressure for your tyres? Check your car door sill; the specifications are printed there clearly. ROTATION. 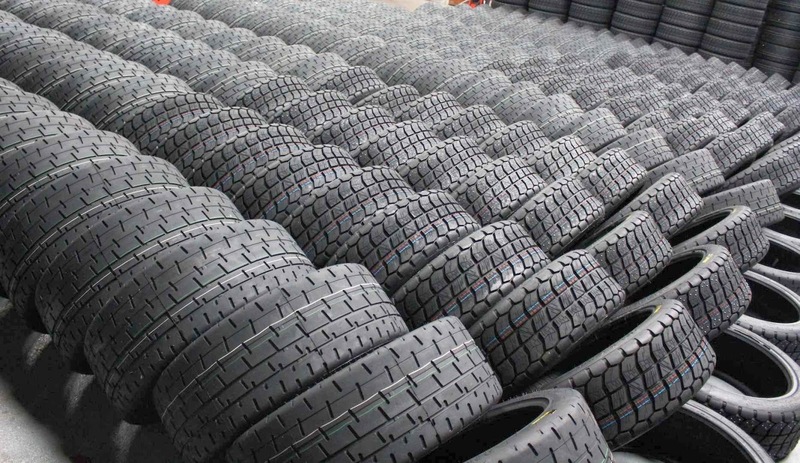 Rotate your tyres every 5,000 to 8,000 kilometres to lengthen their lifetime. Depending on whether your vehicle is a front, rear or 4 wheel drive, the rotation pattern differs. Your mechanic would probably know what to do, but if you’re the type who wants to “just know”, here’s a guide by Bridgestone. BALANCING & ALIGNMENT. Check the balancing and alignment of your vehicle every 10,000 kilometres. Not only will it help maintain the tyre treads longer, it also improves the handling of your car. A car should move where you want it to, not swerve to the side. THE SPARE TYRE. Yes, we always forget that there’s a very important tyre tucked away somewhere, usually in the car boot. Wouldn’t it be awful if we had a flat tyre and then discover that the spare is also flat? Check the spare regularly, ensuring that it is always inflated to the correct pressure.